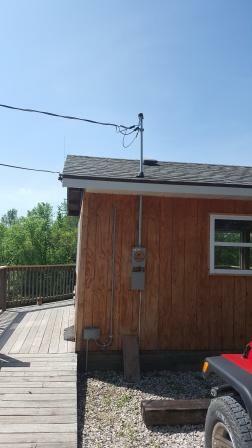 After a few months of waiting the new electrical wires to the Lookout Point Cabin are installed. Last fall the property to the east of the lookout got plowed up in an effort to smooth it out for future use. That worked out well but the electrical line that was very shallowly buried got nicked by the plow and we lost half the power to the lookout. Thankfully it wasn’t the heater or computer stuff so winter had to come and go before we could really get into the field to get it fixed. Who would have known that winter would last until April. The moisture from the skies kept the field soggy until mid May. The ground finally got dry and the work began. 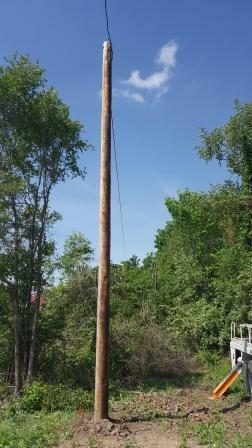 Two new poles were installed and the old ones that were rotten and leaning removed. 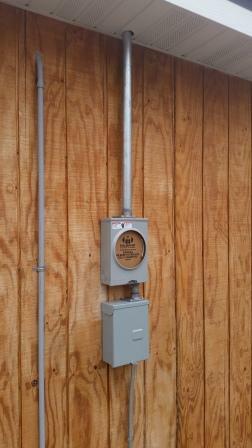 First of all an up to date meter was installed on the building to connect to the updated load center that was installed at the time of the remodeling by APRHF volunteers The original meter was mounted on a pole clear across the field and was not able to be maintained properly. New power is connected and it is time for the meter to be installed. 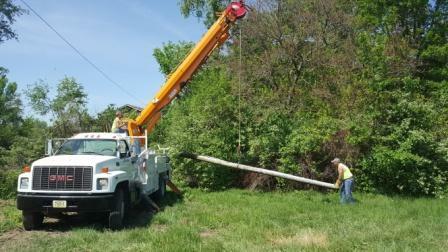 The City of LaPlata utility department is installing the new poles after some trees got trimmed. 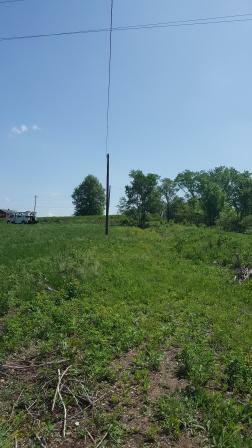 New poles with wires. Looks great. A view across the field with the new run.